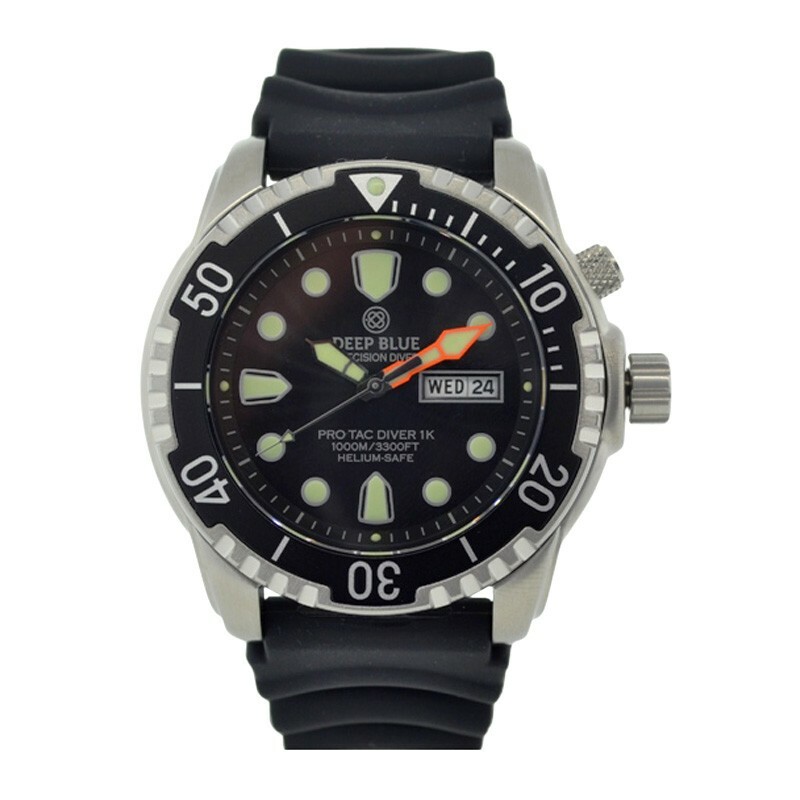 The Protac Diver is a wonderful entry-level high performance professional diver watch. This timepiece is crammed full of features including a manual helium valve, triple o-ring crown, black rotating bezel, sapphire crystal lens, large day/date window, red sunray pattern dial with Superluminova Luminous coated indexes and hands. 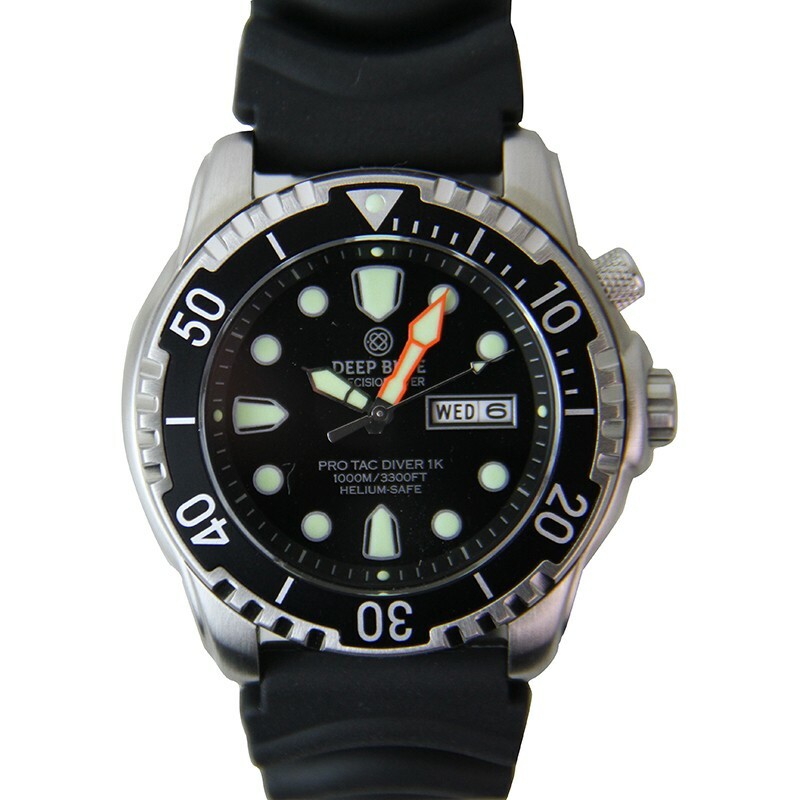 The watch is also water resistant to an impressive depth of 1000 meters. 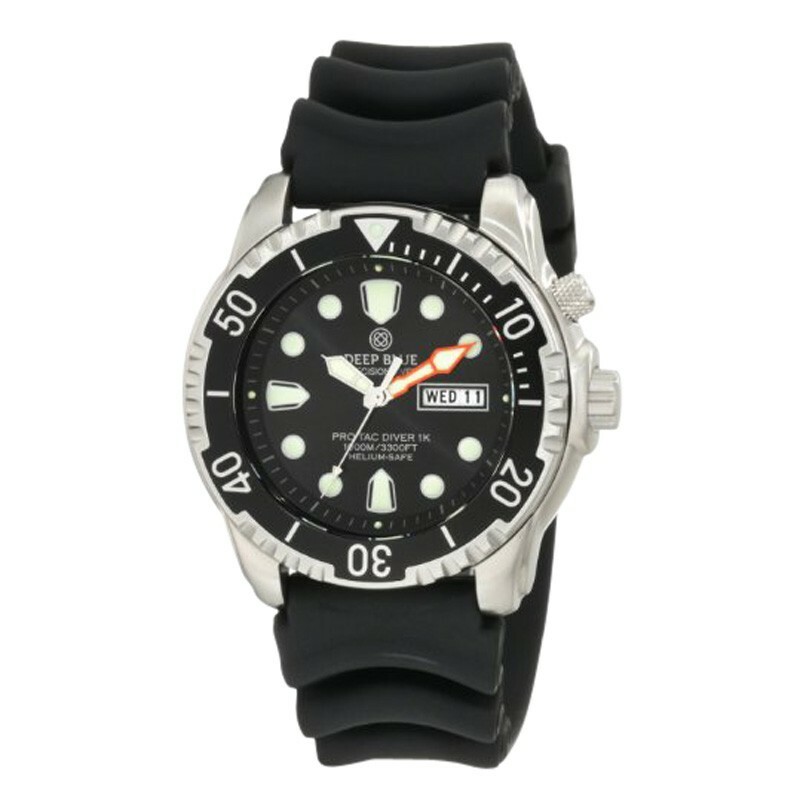 Beneath the durable 46mm 316L stainless steel case is a Seiko Calibre VX43 Quartz Movement.